Two Weeks Left for Symposium Early Registration! 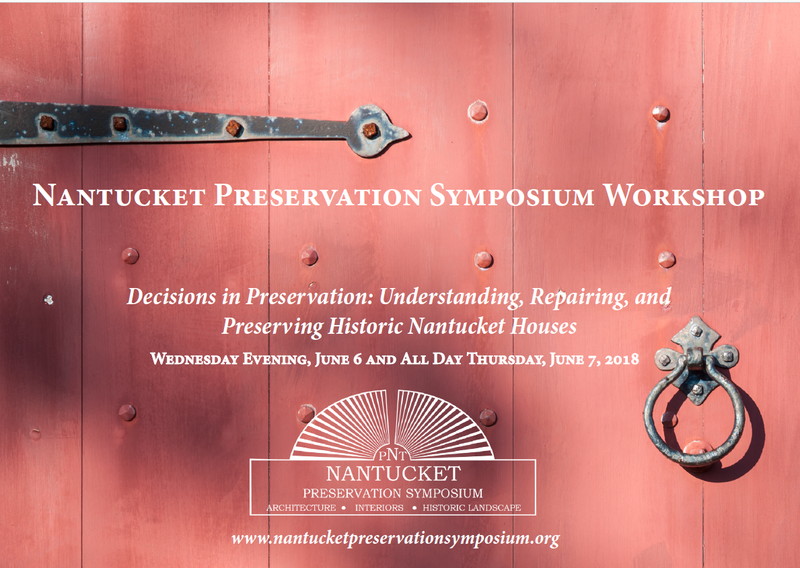 There are two weeks left to register for the Nantucket Preservation Symposium Workshop at our special early bird rate of $295 per ticket. We hope you’ll join us for a special welcome reception and one-day immersive preservation workshop. This year’s workshop, Decisions in Preservation, will explore at least three historic properties in various stages of restoration. You’ll get a hands-on tour of each property, have discussions with the architects, builders, craftspeople, and homeowners, and hear interesting lectures from Nantucket’s leading history and preservation experts, all in the heart of Nantucket’s downtown historic core. Whether you are considering purchasing a historic home, a preservation professional, a history buff, or just have always wondered what was going on inside those stately Nantucket homes, we hope you will join us! Click here to register, to email us at info@nantucketpreservationsymposium.org for more information.